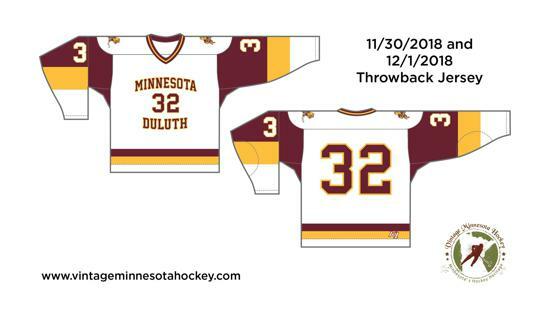 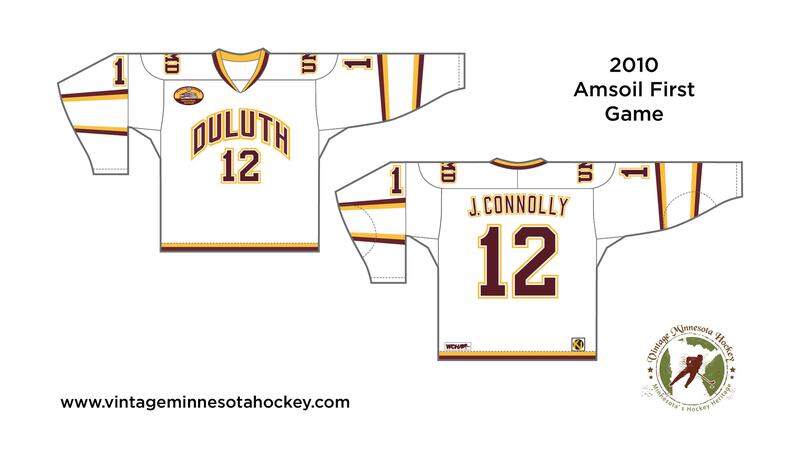 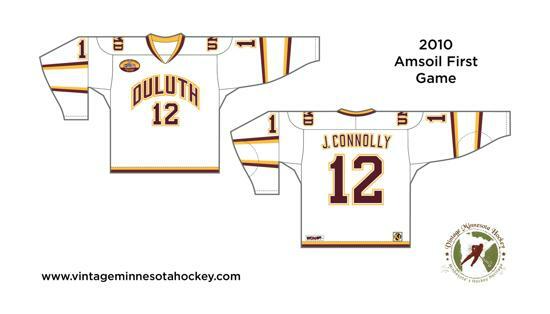 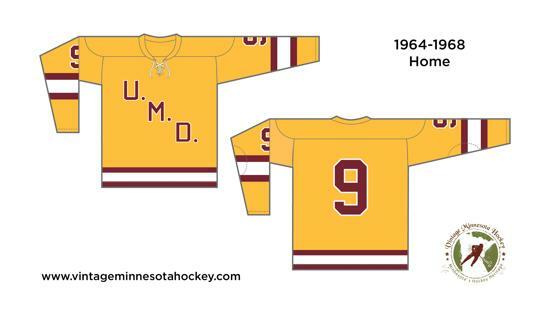 The Duluth State Teachers College uniforms were green/gold - It is unknown if this first uniform was the shown colors or UMD's standard maroon/gold? 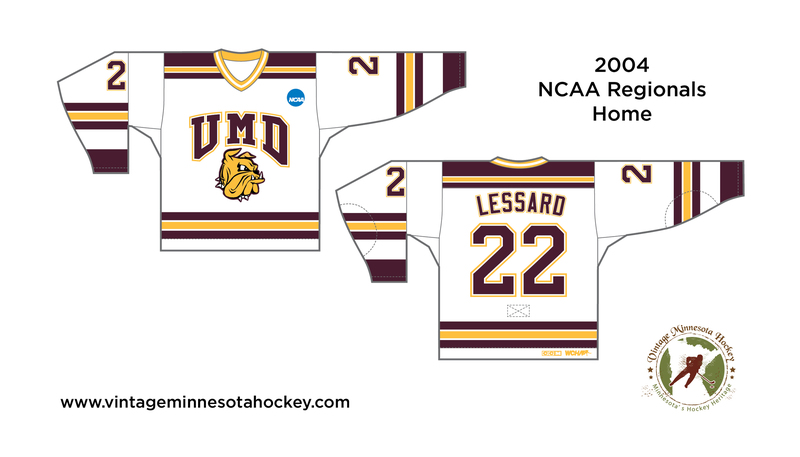 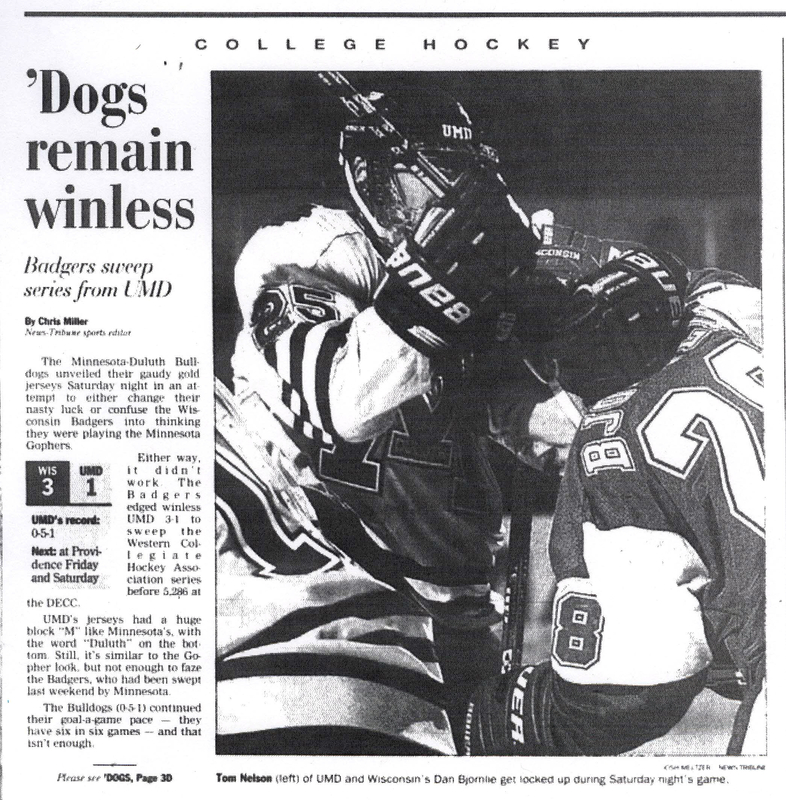 *Per UMD Sports Information Director - Bob Nygaard in a phone interview conducted by VMH about the date of this game, and the story behind this uniform he stated: "This jersey was worn in only one home game at DECC vs. Wisconsin in a 3-1 loss Saturday 11-7-1998 late in the Sertich coached years. UMD skated onto the ice to an ovation of booing fans, that hated the uniforms as they looked too much like their in-state rivals, Minnesota Gophers". 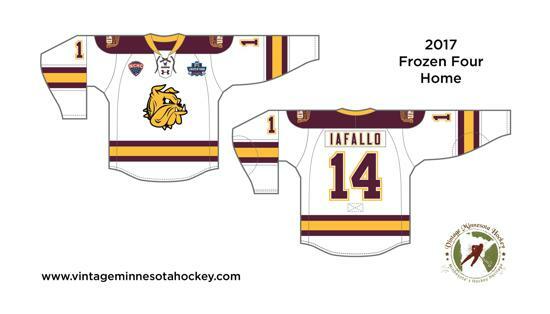 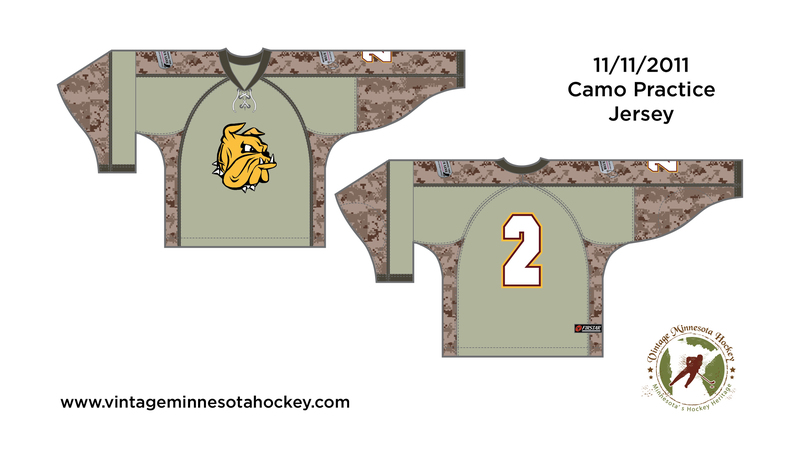 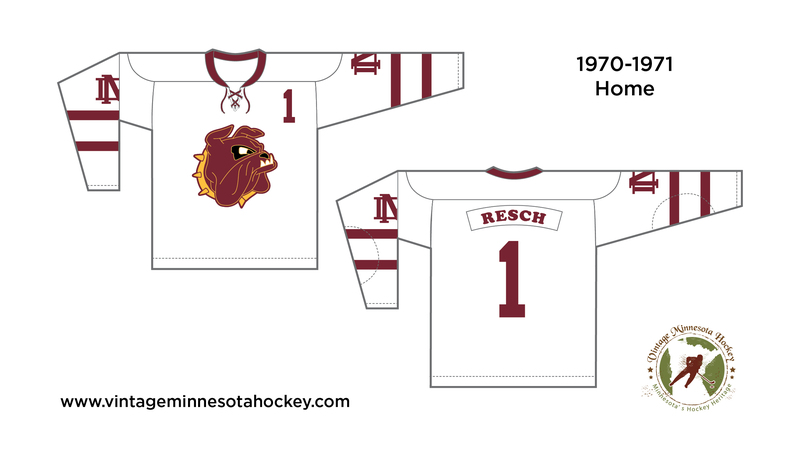 WI Coach Jeff Sauer was quoted as saying: "I thought we were in Duluth playing the Bulldogs, not at Mariucci Arena playing the Gophers". 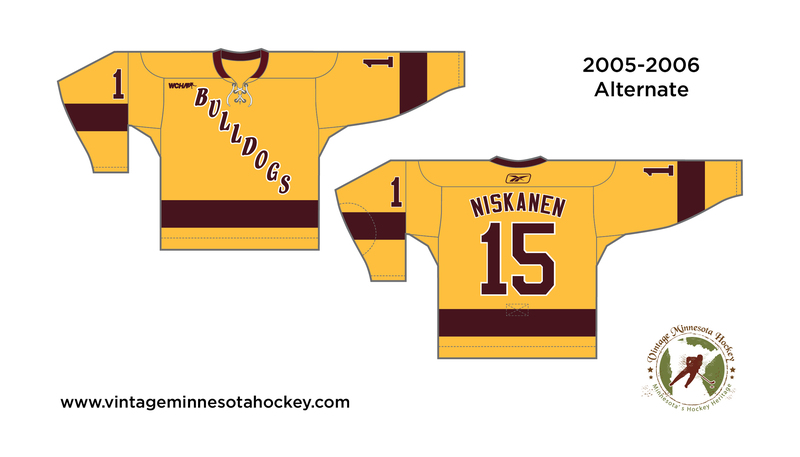 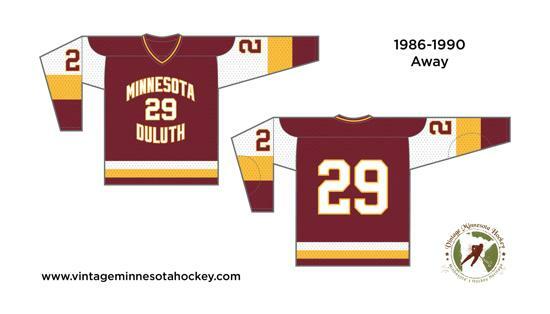 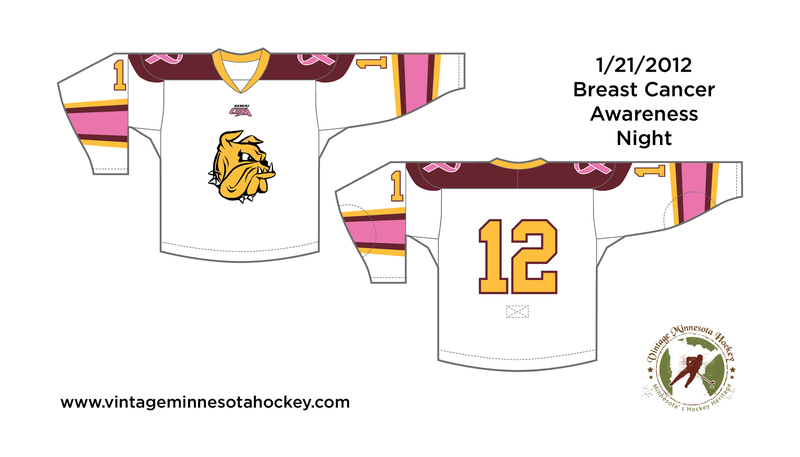 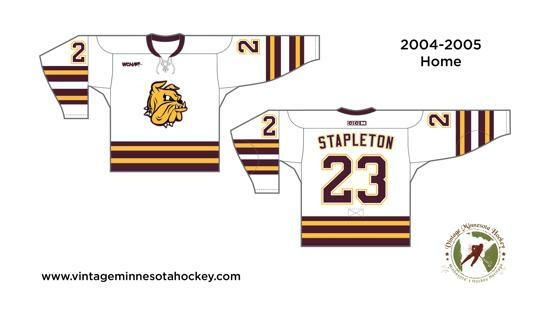 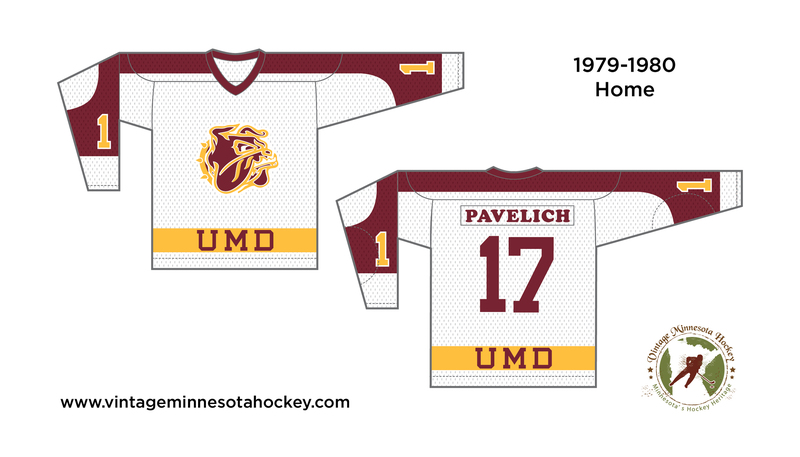 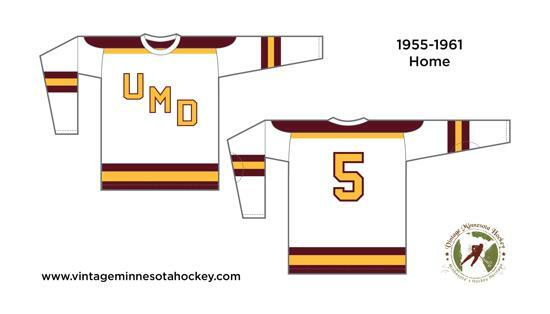 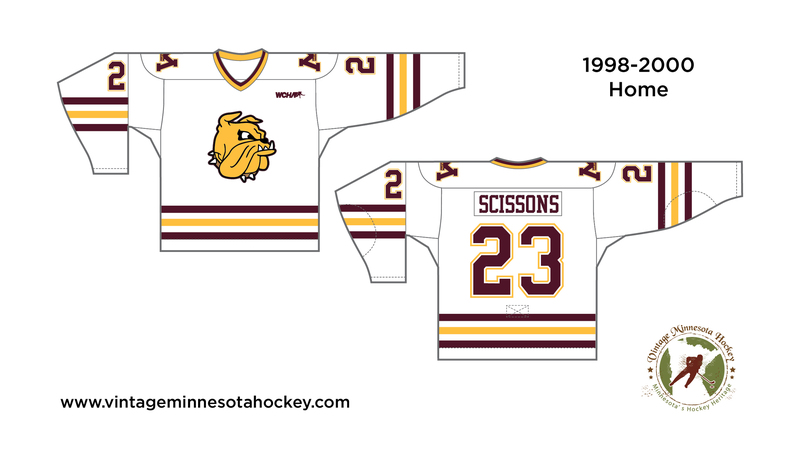 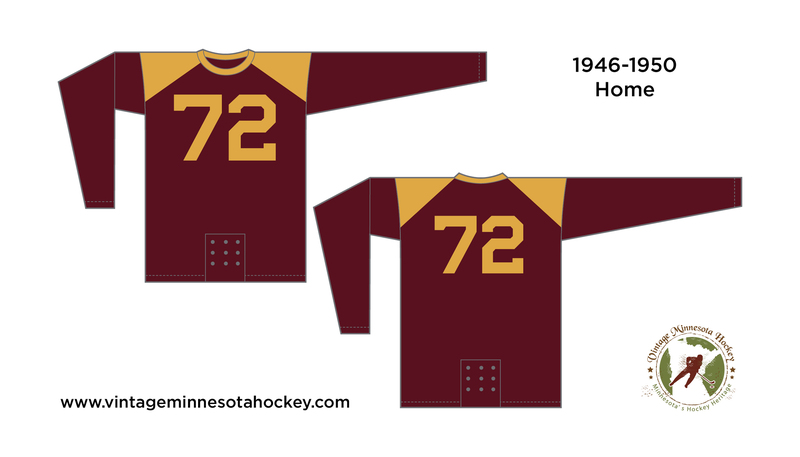 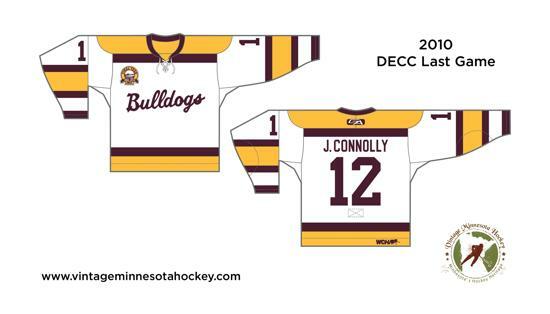 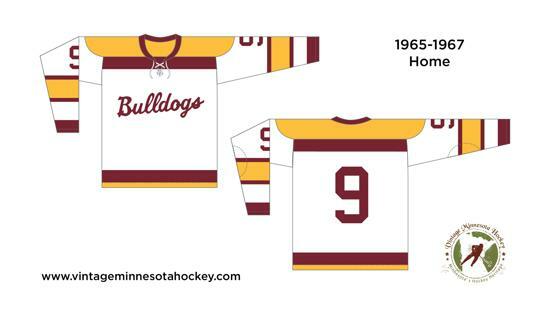 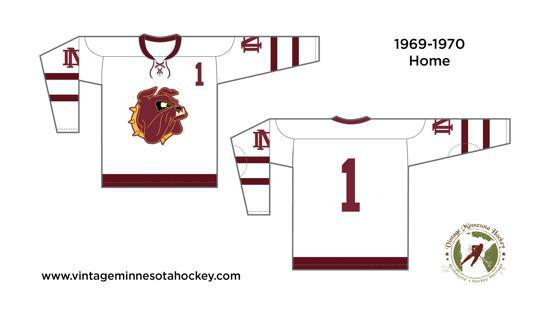 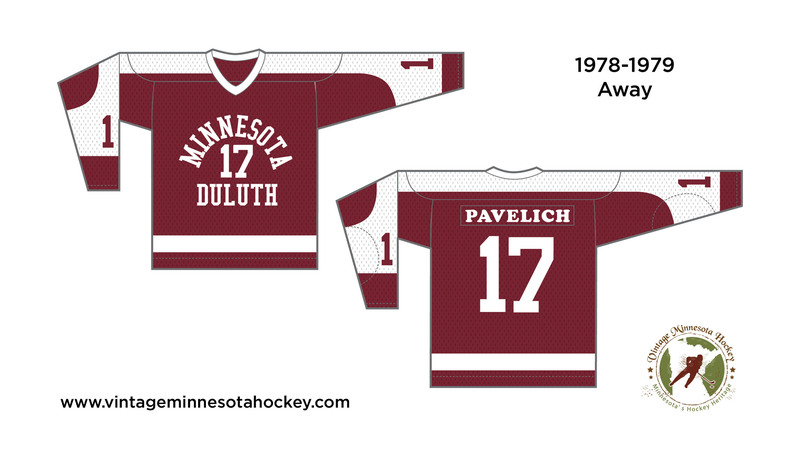 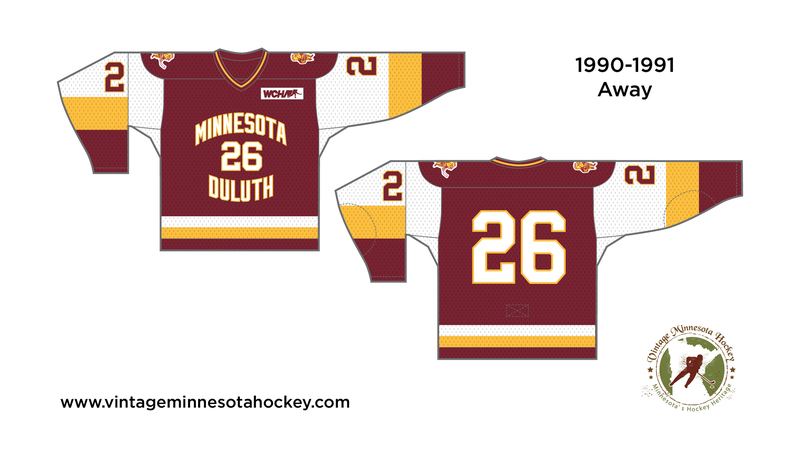 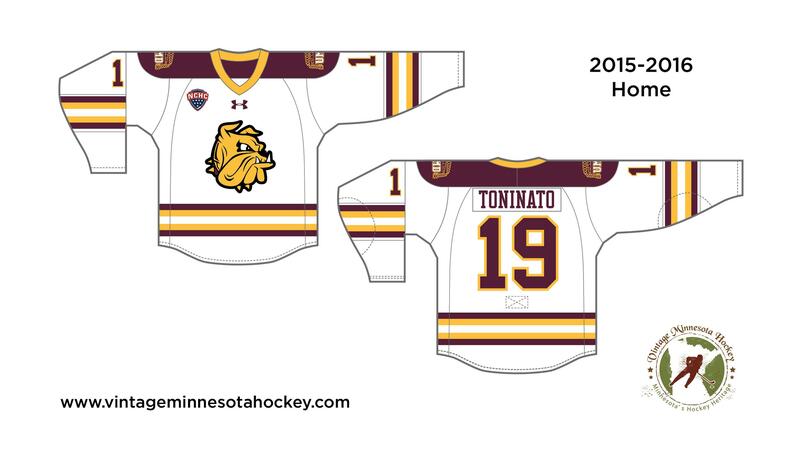 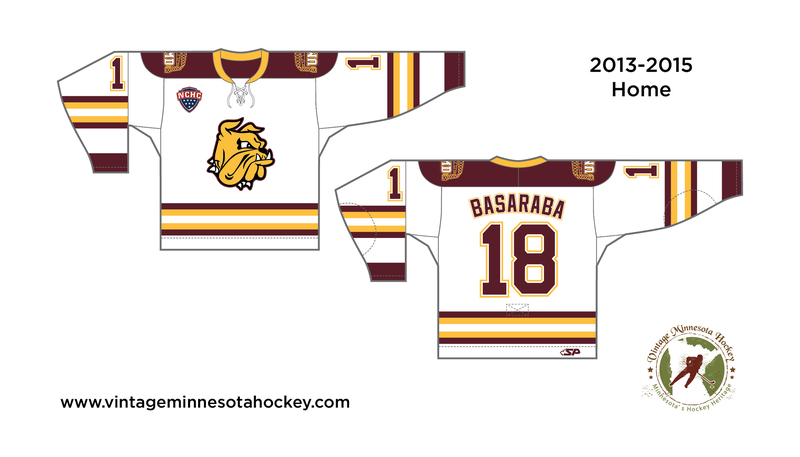 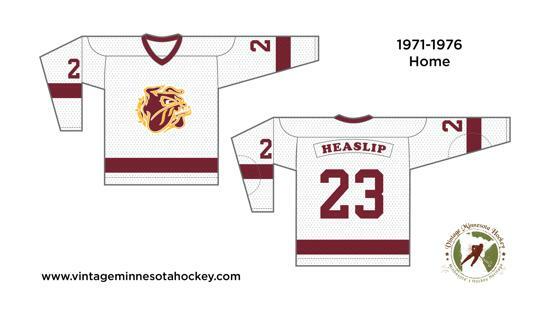 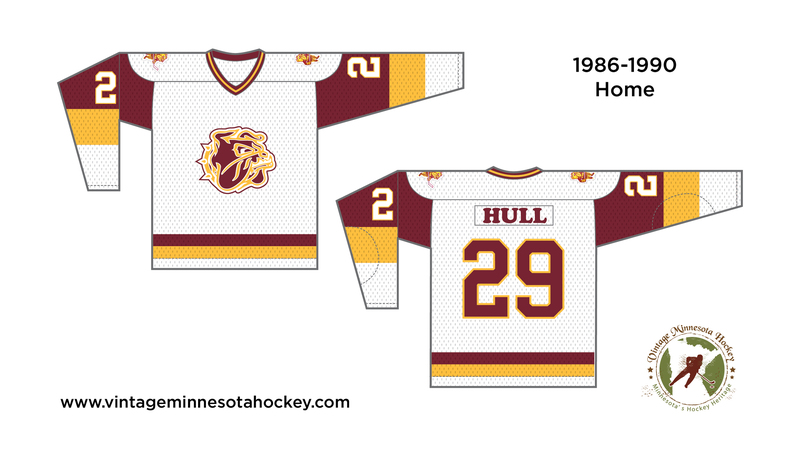 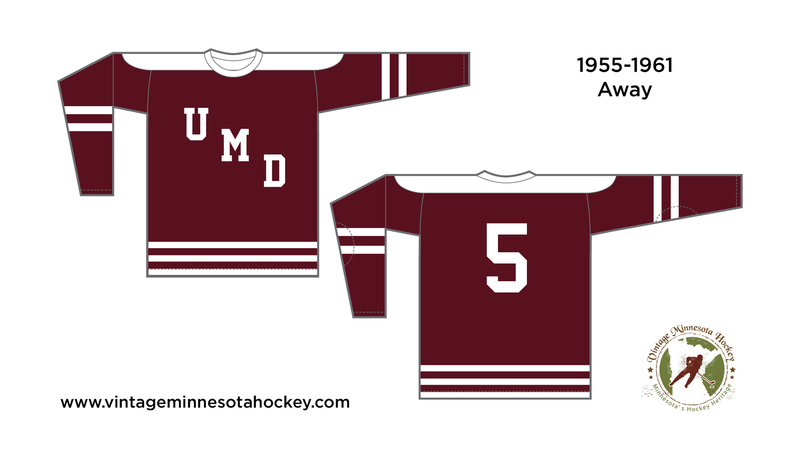 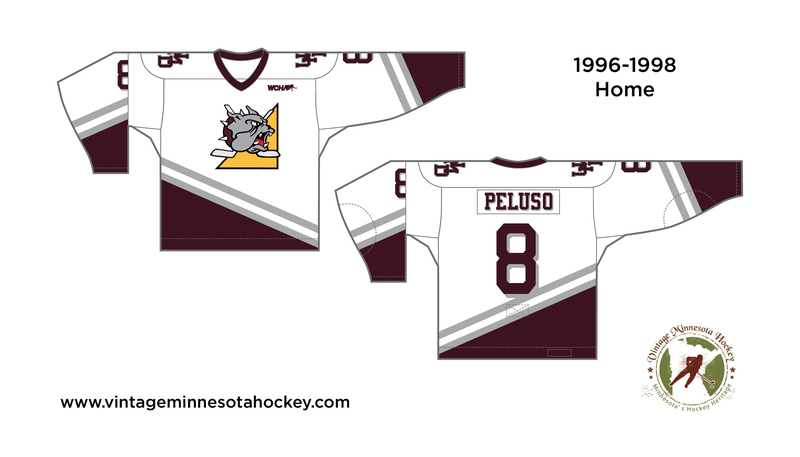 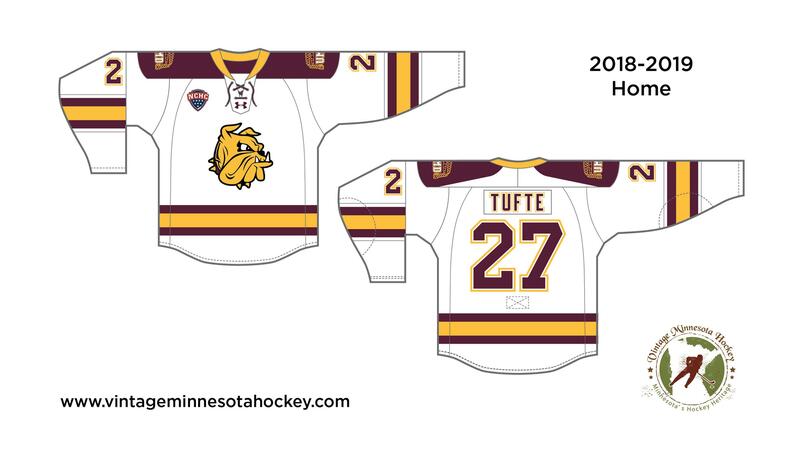 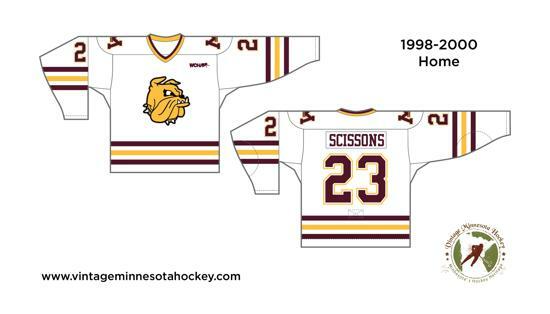 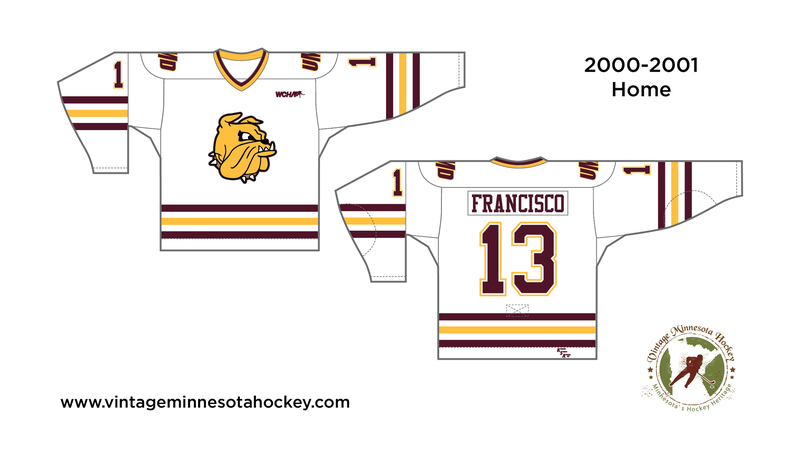 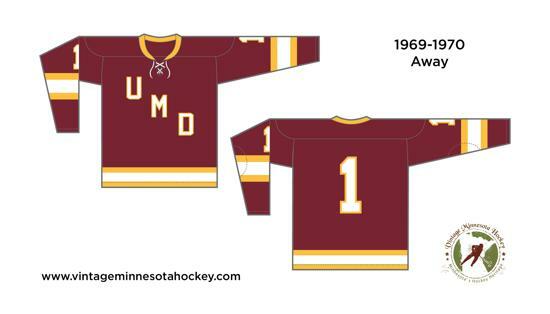 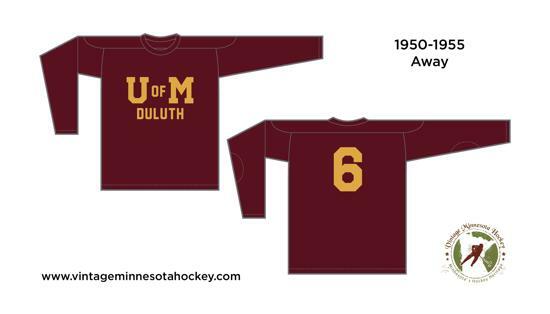 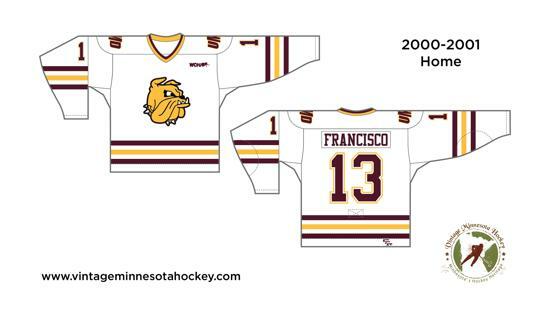 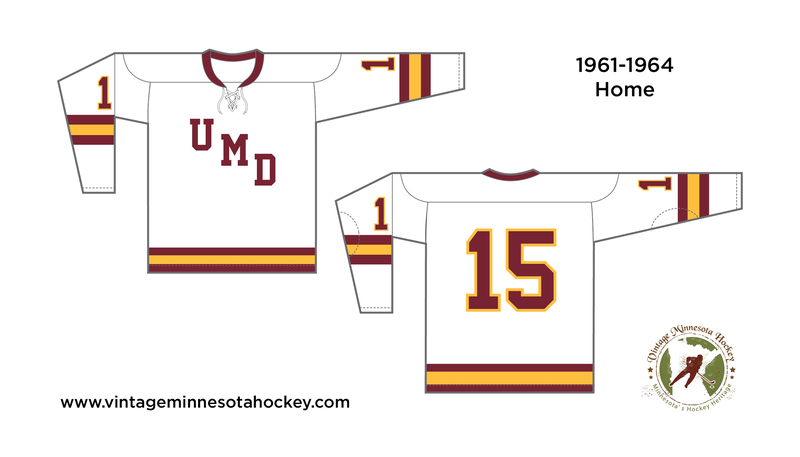 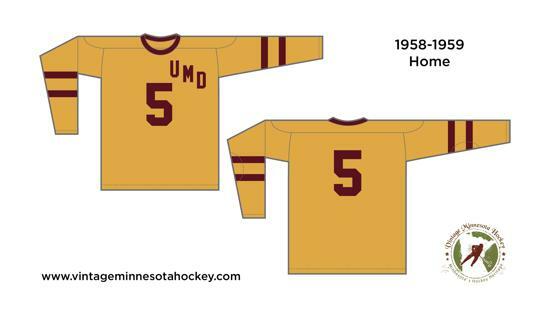 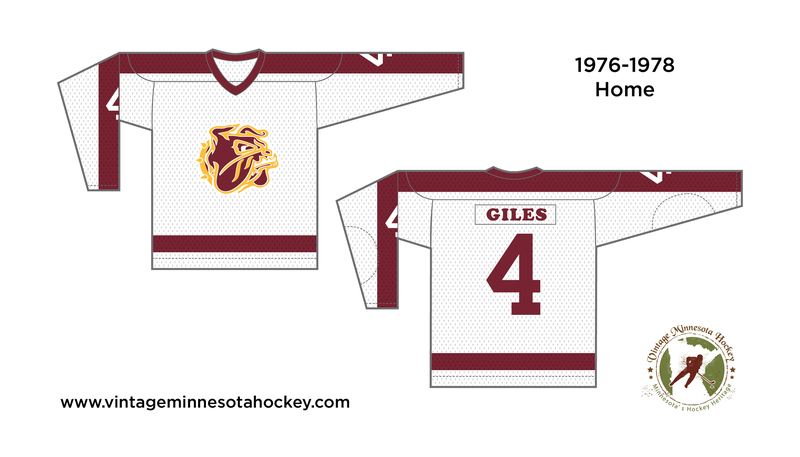 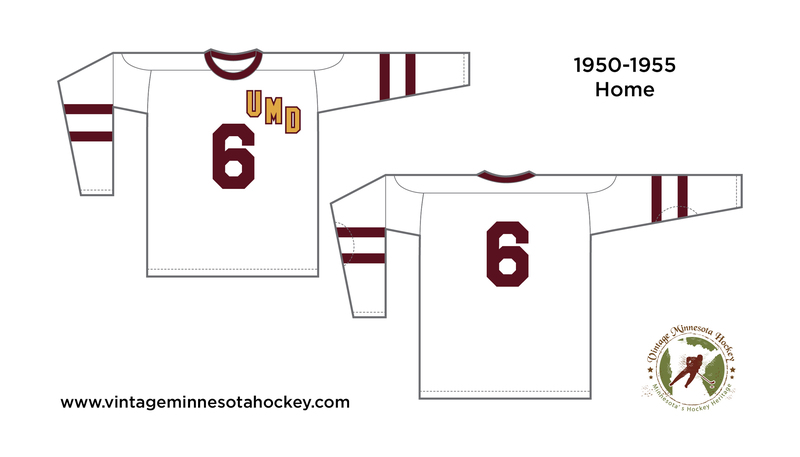 Bob additionally stated "there wasn't any staff UMD photographers in the arena that night, and the jerseys were quickly scrapped after being worn only once, later to be replaced with the arched MINNESOTA DULUTH with chest numbers". "Following this jersey faux pas, it brought about better changes to the schools' brand identity of the University, and Bulldog logo". 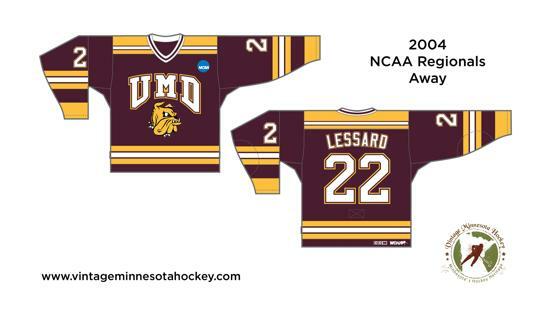 Patches: WCHA & CCM patch lower right hem. All trademarks, logos, and photographs depicted are for educational and documentary purposes only. They are property of their respective owners.